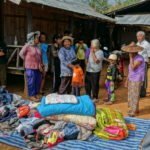 The Khmer Akphiwat Khmer Organization (KAKO) is a small community-based non-government organisation in Siem Reap, Cambodia. 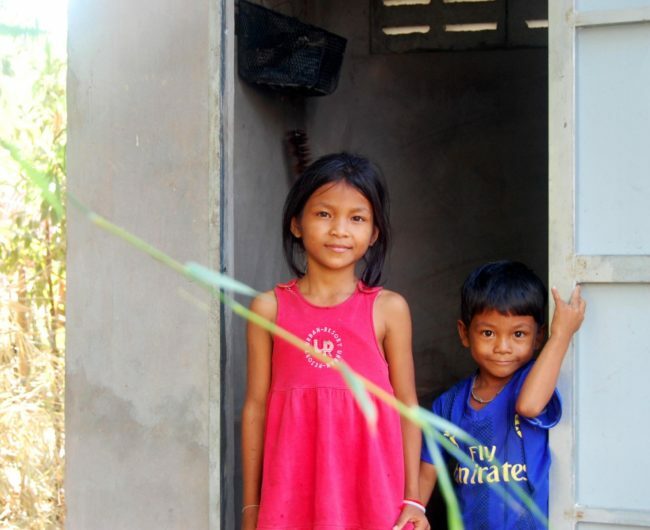 It runs preschools, libraries, scholarship programmes and builds toilets in Siem Reap. 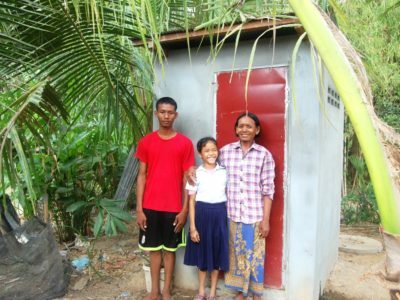 In 2011 KAKO approached us with a proposal to build toilets and improve sanitation conditions in poor, remote villages around Siem Reap. We agreed to help finance this ongoing project. 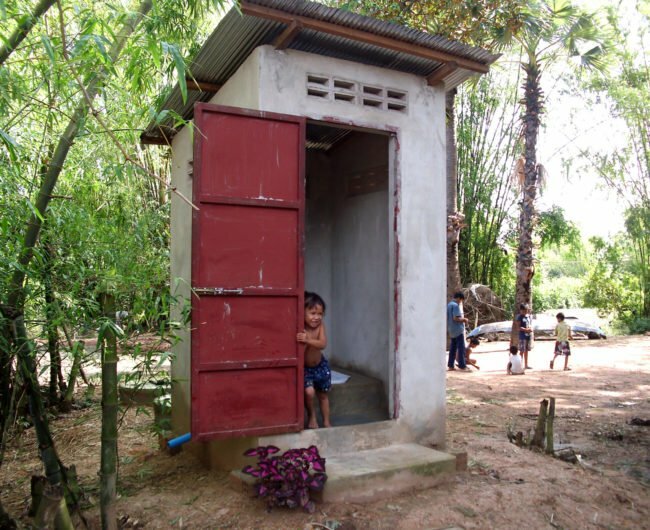 In Cambodia only 30% of the population in rural areas has access to toilets and sanitary facilities (World Factbook 2015) . 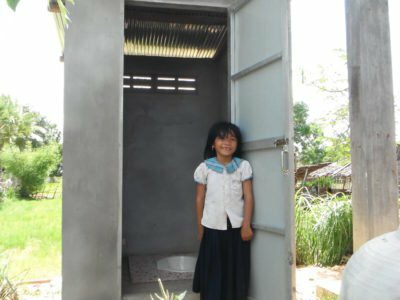 In 2014 KAKO conducted a survey of 21 villages surrounding Siem Reap, revealing that 68% of the villagers lacked proper sanitation. 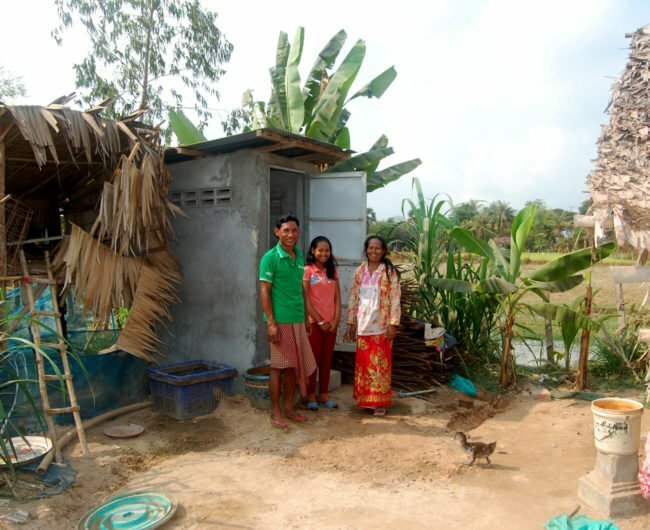 For many the only option is to use bushes, rice fields or the land around their houses for sanitary purposes, which becomes increasing problematic during the rainy season. 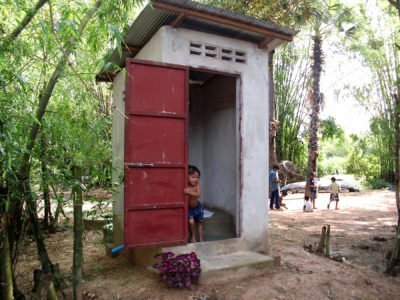 This unsanitary environment puts villagers at risk of contracting life-threatening diseases such as diarrhoea, hepatitis A and typhoid fever. 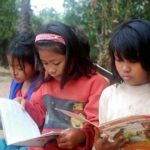 For instance, one in 10 children die under the age of five mainly from preventable and treatable diseases (UNICEF 2012) . When adults get sick they cannot go to work, causing additional financial hardship. 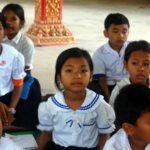 When children frequently are too sick to go to school they may not be able to finish their education. 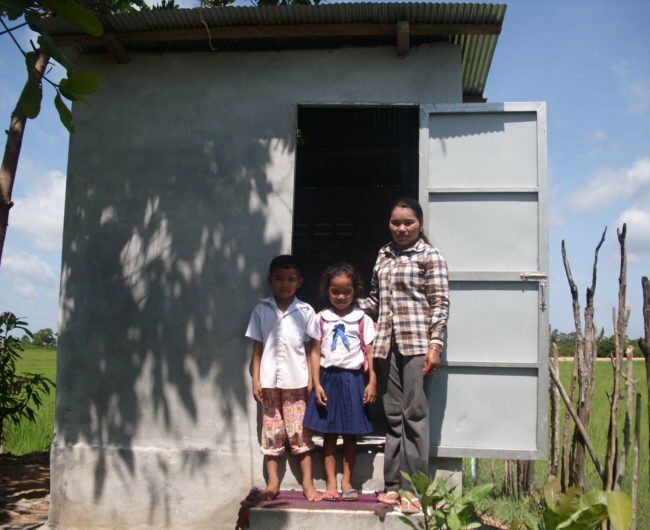 From the start of 2012 until May 2017 we provided funds for KAKO to construct over 174 toilets thereby improving the living conditions of around 830 people in 21 villages. 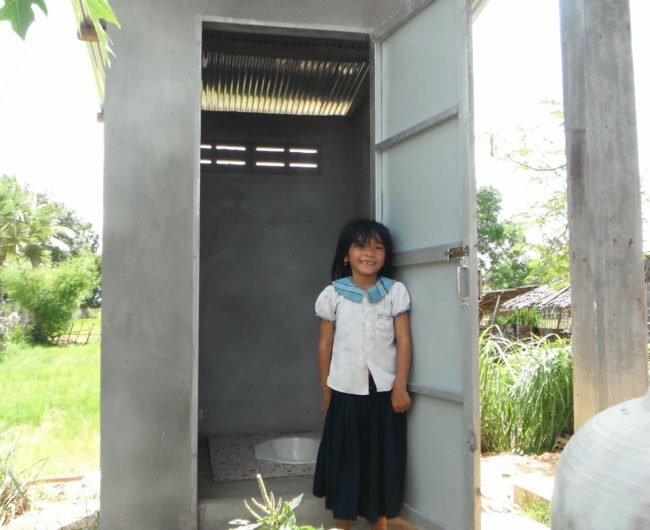 Additionally, we funded a toilet block with four toilets in the Stung Preah Srok school which supports 370 beneficiaries. 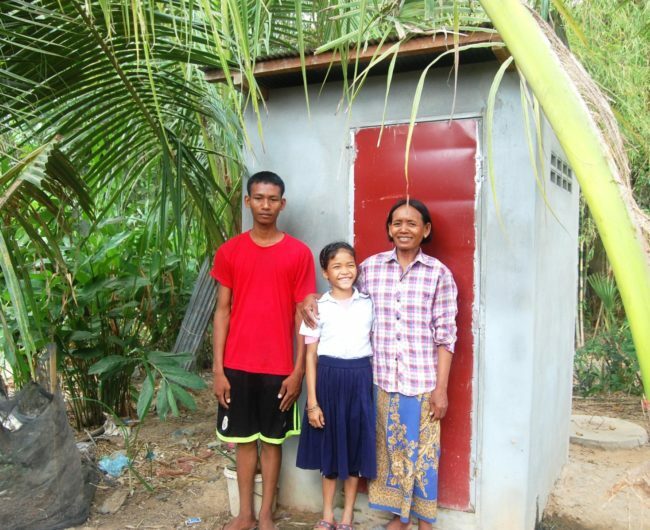 KAKO offered training to the recipients on how to use, clean, and maintain the toilets. 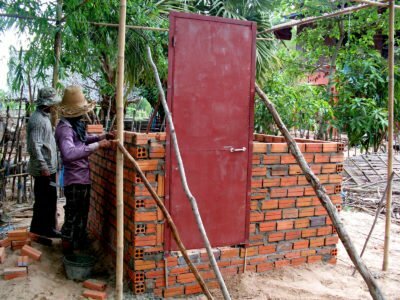 The training also included good hygiene practices and instruction on how to lower the risk of contracting diseases. 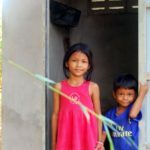 As a result of better hygiene children in the villages have shown improved health and do not get sick as often, which saves the parents money on medical bills. 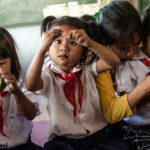 Parents are also able to work more while their children are at school. 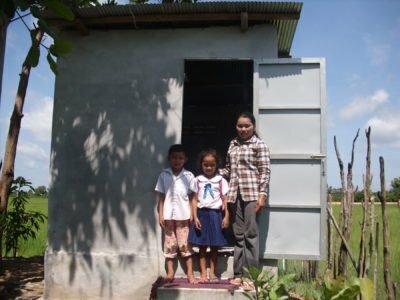 In order to increase the cost-efficiency of this project, in 2017 we started building bigger toilet blocks that are shared by several families, where this is feasible. 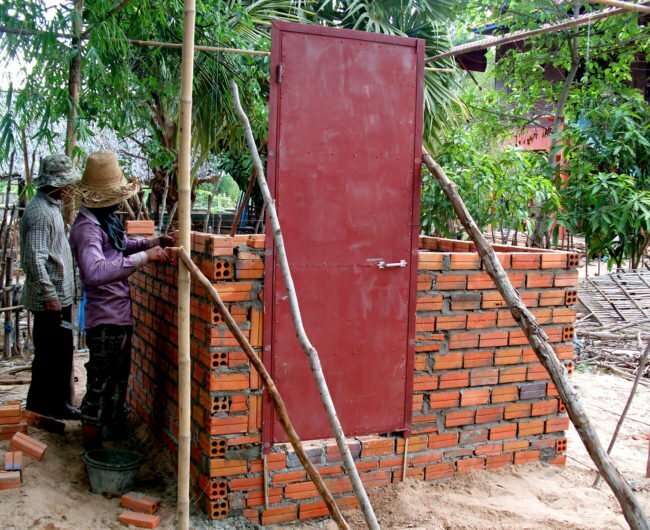 We also started building toilet blocks in schools to enhance the sanitary facilities, where required. 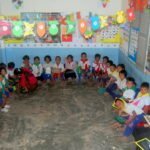 *Philanthropy Connections topped up the sponsor funds in cases where, due to fluctuations in exchange rates, this was needed. 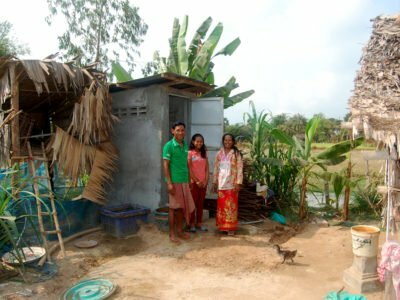 ** Philanthropy Connections topped up the gift to the required budget of € 948 for three toilets.